My favorite fall drink is a warm apple cider. My husband wants to make cider from our apples, but we haven't gotten to that quite yet. Since we live in Amish country, there are several Amish who sell homemade apple cider that's so crisp and so fresh that we get it just hours after it's been pressed. I pour it in the slow cooker and sip it on the cool evenings. The apples in Ohio are just starting to ripen, so we haven't had any fresh apple cider this year. I bought some from the store, but it wasn't nearly as good as the homemade cider that I'm used to. 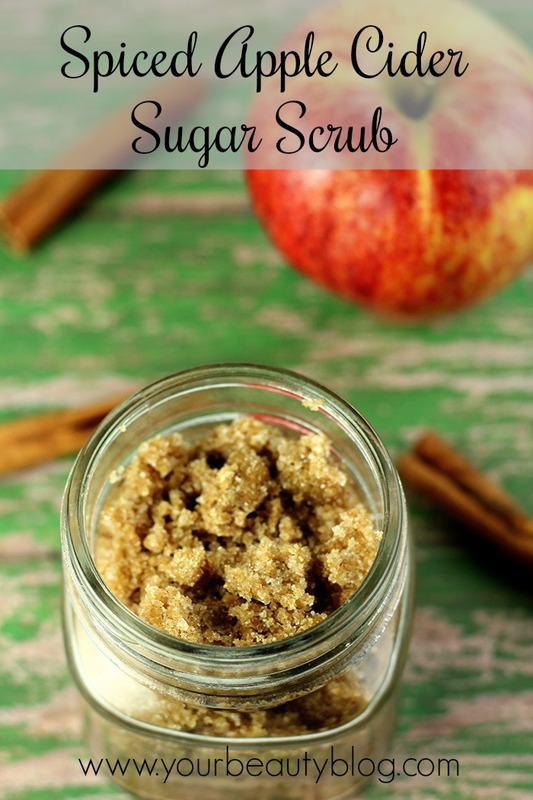 I made this spiced apple cider sugar scrub recipe to use this fall, even if it's a tad bit too early for the real deal. 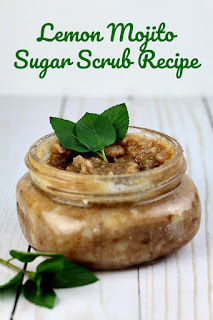 You can use white sugar or brown sugar in a DIY sugar scrub recipe. White sugar is more abrasive, so it sloughs off more dead skin cells. Brown sugar is gentler, so it's good for sensitive skin. 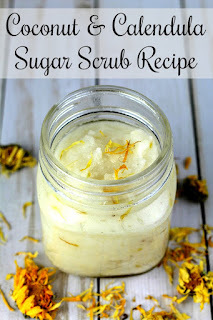 I use sugar scrubs mainly on my hands and feet, so I prefer the scrubbing power of white sugar. For this recipe, I wanted the scent of the brown sugar. I used equal parts of the two sugars so I could have the scent of the brown sugar with the scrub-ability of the white sugar. I used fractionated coconut oil because it absorbs into the skin quickly, so it doesn't leave my skin oily. If you need a more intensive oil for dry skin, try sweet almond oil or olive oil . 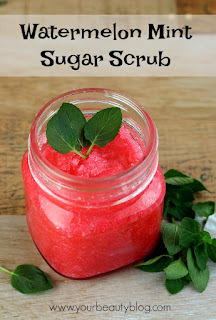 To make the scrub, simply add all of the ingredients to a medium sized bowl and stir well. Put the scrub into a container with a lid. It will be shelf stable for several weeks. Use about 1/4 of a cup to gently scrub away dead skin cells on your hands, feet, or body. Do not use this scrub on your face. A spicy fall sugar scrub inspired by spiced apple cider. 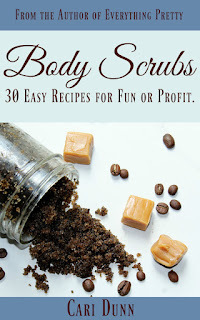 If you like sugar scrubs, you'll love my book Body Scrubs!